Peter Peabody joined RHF in August 2005 as Director of Healthcare Operations and was promoted to Vice President of Healthcare Operations in July 2007. At RHF his responsibilities include the daily management of all the multi-level retirement communities located in eight states. He is a licensed nursing home administrator and a member of the American College of Health Care Administrators (ACHCA). As a member of ACHCA, he has completed the professional requirements to be designated as a Certified Nursing Home Administrator. During his employment at RHF he completed a 15-month leadership course sponsored by the Council of Health and Human Service Ministries (CHHSM) of the United Church of Christ. He received both Bachelor of Science (1972) and Master of Arts (1978) degrees from Andrews University in Berrien Springs, Michigan. 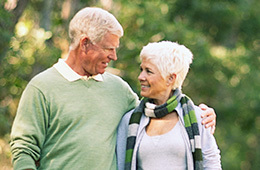 Mr. Peabody has been involved in long-term care management since 1980. This has included management of nursing facilities ranging in size from 48 to 240 beds. Past positions have included that of nursing home administrator and vice president of operations.